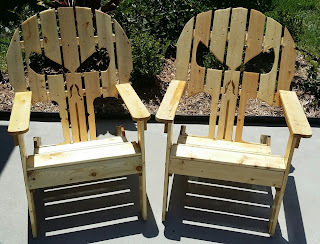 If you're interested in some of my outdoor furniture, check out my selection below and contact me for shipping and pricing info. 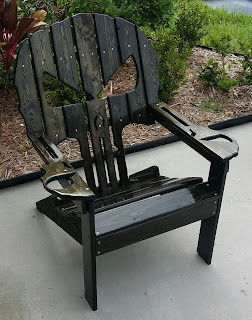 These Punisher chairs are $200 each and have an ebony stain and sealed with Helmsman's before being assembled. They come with over-sized 6" arms and right or left-hand cup holders. Each joint is reinforced with glue and given the once over with sealer after final assembly to ensure a 5-year shine! These Punisher chairs are $150 each and come with over-sized 6" arm-rests with R/L-handed cup holders. The back is painted with Rustoleum outdoor paint and the bottom is Miniwax stain+sealer. 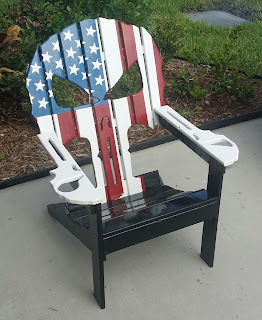 All joints are glued and the entire chair is covered in 2 coats of Helmsman's outdoor sealer. 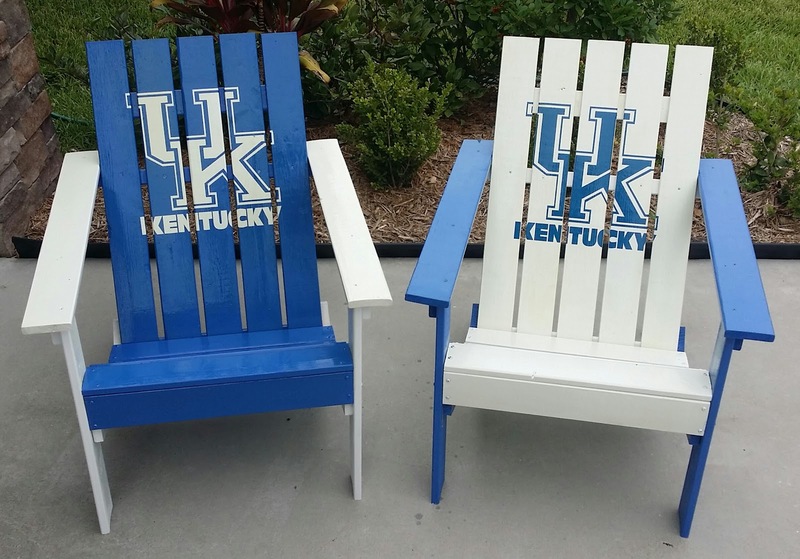 These naturally finished beauties are $100 each. 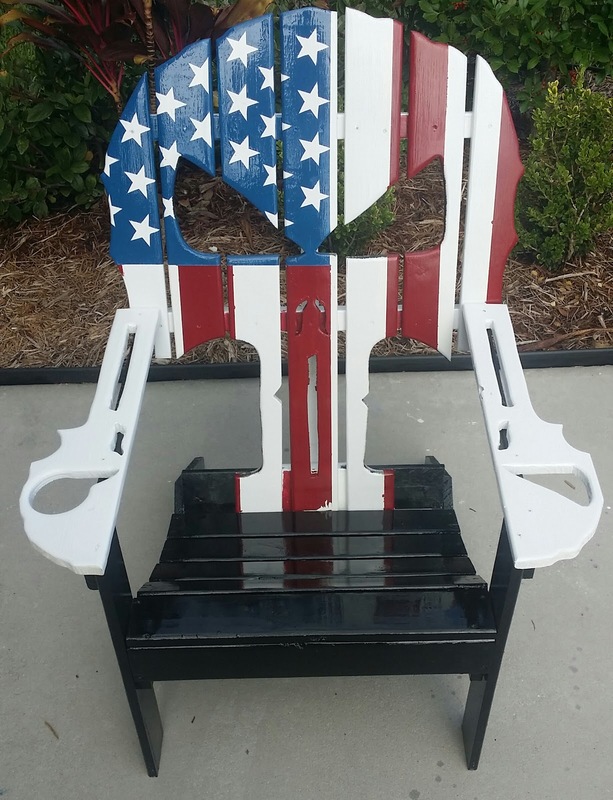 They have standard 4" arms and are coated with no less than 5 coats of Helmsman's Outdoor Urethane. 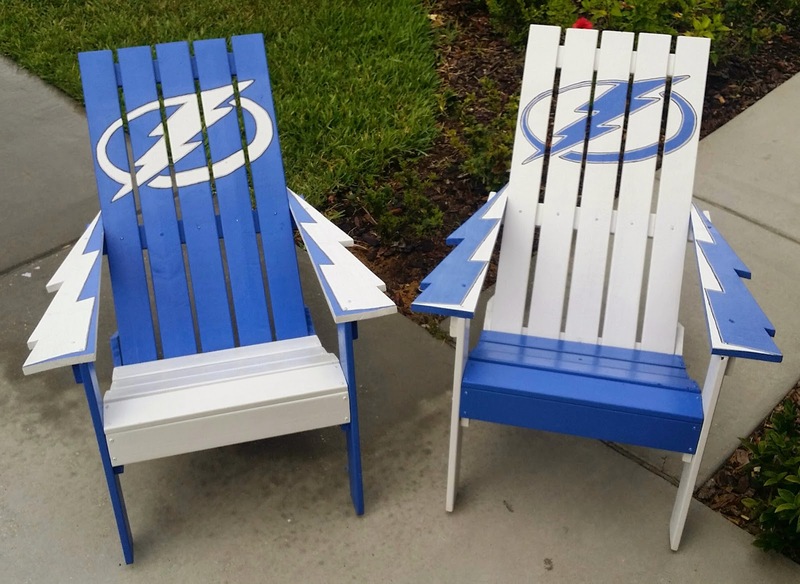 These team-chairs are $100 each and feature standard-4" arms and Rustoleum outdoor paint. 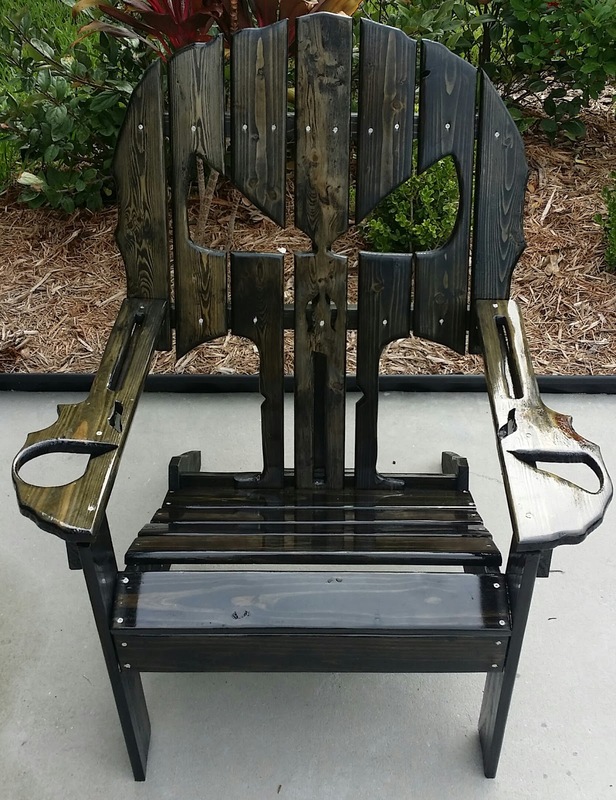 Logos are vinyl decals and the entire chair is sealed under 2 coats of Helmsman's outdoor sealer. 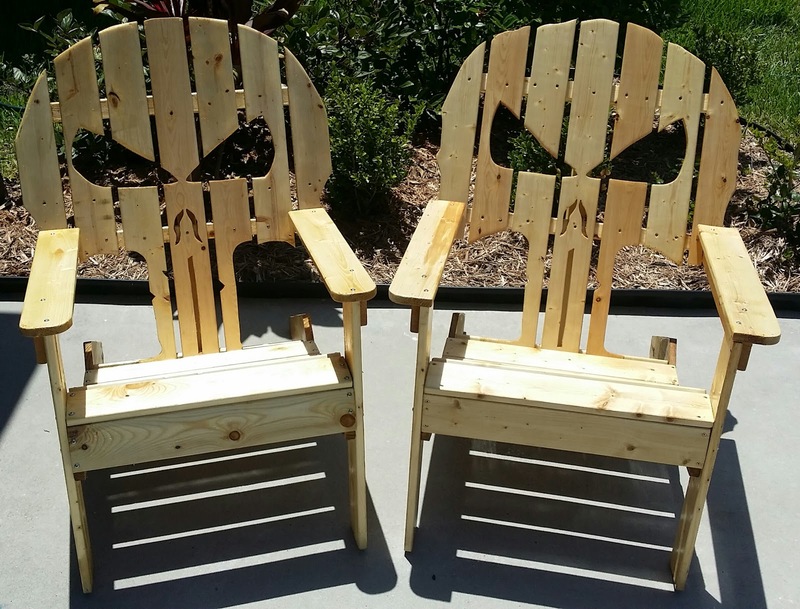 If you're a Star Wars fan then these chairs are for you! 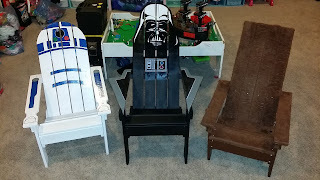 These are children's sized chairs and fit youth up to 12 years old. They are $60 and are hand-painted. The Darth Vader is a vinyl decal and is sealed in Helmsman's outdoor sealer. 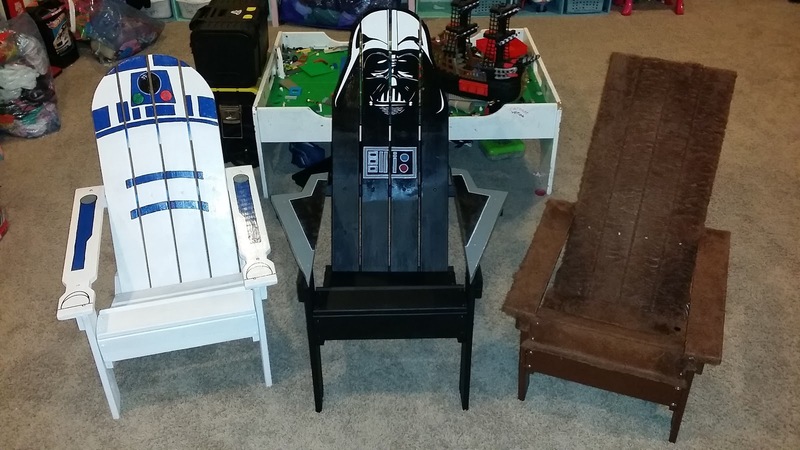 The "Chewbacca" chair, missing it's bandolier, is $80 and is covered in a hand sewn feaux-fur cloth. Each slat is encased in the fur-sleeve.